Nar Phu Trekking in Nepal is listed as off the beaten path situated at the tranquil portion of Annapurna region. The journey is of two villages of Nepal which are still considered as the hidden village. These villages are located at the crossroad of Himlung Himal Expedition route and Annapurna Circuit Trek route’s vicinity. All the splendors of Mother Nature like lake, river, streams, forests, mountains, grassy meadows, valleys, gorges, hills and wildlife are abundantly present. Grandeurs of local culture and traditions dated century back can be witnessed during such prolific trek of hidden village of Nepal. Journey starts similar to Annapurna Circuit Trek as trekkers will be driven through Lamjung – Kathmandu Highway. Until Besisahar the road is black tarred but from this place up to Chyamje the road is bumpy and graveled. Therefore, expect some adrenaline rush moments when your vehicle gallop along the hilly postal road having high cliffs on either side. Walking starts from Chyamje and passes through Koto and Meta. 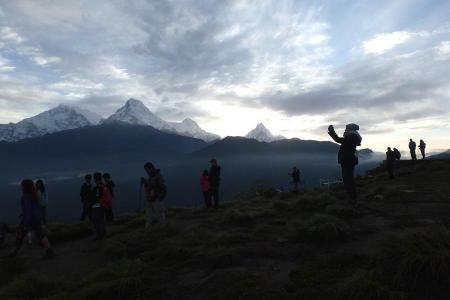 Trekkers finally reach the Phu village first. Nar Phu Trekking never fails to surprise trekkers. While we stay in Phu village the iconic Tashi Lakhang Monastery which is listed in 108 best monasteries of world as well will be visited. From this place we further walk through moraine towards Nar Village. The sight of Lamjung Himal, Tilicho, Annapurna and many others are usual sight during this trip. 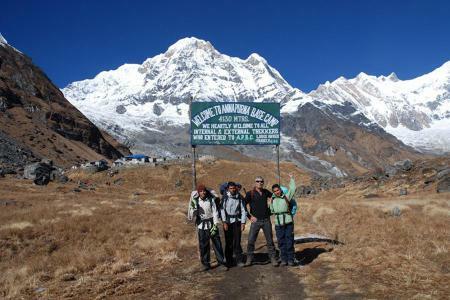 Moreover, crossing the Kang la Pass trekkers will reach Ngawal which is in Annapurna Circuit Trek route. Follow the trail and cross the world famous Thorong La Pass to reach Muktinath area of Lower Mustang region. Ultimately journey ends after joyous flight from Jomsom to Pokhara. The trip has major features like two hidden village, iconic Tashi Lakhang Monastery, Thorong La Pass, Muktinath and splendid diversified natural resources. 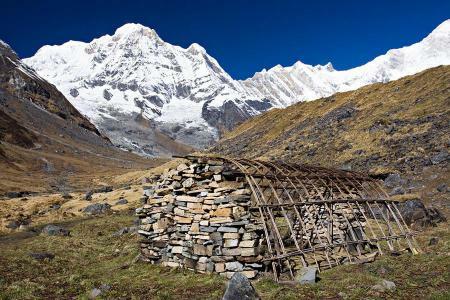 Book the Nar Phu Trekking in Nepal for the exploration of tranquil hidden village of alternative rural Annapurna region. Unique Adventure International ensures quality and safety during such remarkable off the beaten trails trekking in Nepal. After you arrive, our representative of Unique Adventure will welcome you at Tribhuvan International Airport (TIA), Kathmandu but make sure about our representative with a display board at the arrival gate. You will be then transferred to the hotel. We can either relax in the afternoon or hang around. You will have a dinner in a traditional Nepalese restaurant where we take pleasure in a Nepalese cultural program as well as food. Today you visit Kathmandu valley and see Durbar Squares at Kathmandu, Bhaktapur and Patan. Visit to Bauddhanath will be memorable experience since it is one of the biggest stupas in Nepal. And, Swayambhunath situated top on the mount in the city known as the Monkey Temple will also fascinate you. Also, you will visit Pashupatinath, at the bank of Bagmati River which is one of the Hindus sacred places. A drive from Kathmandu Bus Park get us started for the day and continues for about 6 to 7 hours which leads our way to Bhulbhule. We will be accompained with the tanquil surroundings of the countryside sightseeing various picturesque views of rivers, farms, mountains, forest, etc. along the way. Our track today passes through waterfall and all alongside the river bank before ascending up and reaching to Bahundanda for overnight. This is enjoyable village lying on a hill and you may go around in the evening to local villages and around the region of school. Today, we go away from Bahundanda and the trail moves down to Syange village traversing fields and local settlements that take about 2 hours. A short descend and going across a long bridge over Marsyangdi River, we arrive at Syange. Now, our trek moves steadily up from the river and the last vertical ascend takes us to Jagat. From here, we move further on a rocky path and long picturesque waterfall crossways the river which finally brings us at Chyamje for staying tonight. From Chyamje, we pass through a suspension bridge above the deep Marsyangdi River, after traversing the bridge and we have another vertical ascend for next 2-3 hours till we reach Tal, a village located on the gorge beside the river Marsyangdi and adorned with striking waterfall and sandy river. In addition, the walk follows the stream up to the Dharapani, and we move all the way through the uneven trails and cross few suspension bridges and small teashops take you to serene and large village at Dharapani. As we begin our journey early in the morning heading towards Bagarchhap passing through Pine and Fir forests, we walk continuously along the steep trail to reach Timang via Danaque. From here, we can have the majestic view of Mt. Manslu and Peak 29. 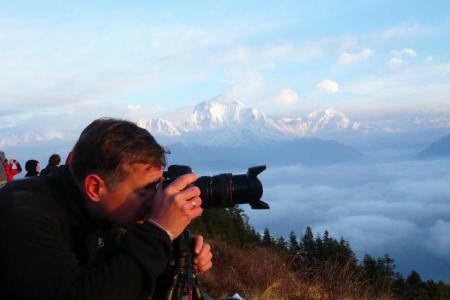 We continue till Latamarang passing through pine forest and enjoy the attractive glimpse of Annapurna II to finally stop at Koto for the day. Today, we follow the riverbed and come across some mani chrotens. Then after, we ascend from the riverbed until we reach the Phu valley. About walking for an hour from the valley doorway we cross the Phu Khola and start on moving up to the Phu village. Day 10 : Rest and explore Phu Gaon (Visit Tashi Lakhang Monastery - out of the 108 great Buddhist Monasteries in the world) and the valley nearby, overnight at guesthouse. We climb to Nar Gaon -- Village (4110 meter) today. We continue walking on a long but moderate way up through the side moraine of Temdenzon Khola, on a fine path. At the base of Kang La. We have a rest day today and we explore around Nar village. We will spend the way by going on a short hike to the nearby region. We will also have a look around the culture and lifestyle of the Nar village. Today we have a challenging and long day, however it is very worthwhile. We have to traverse the Kang La pass at (5322 meter). 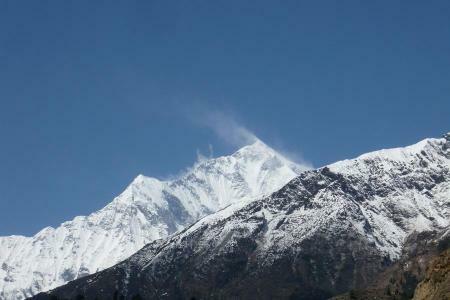 We have a quick ascent to the crest of the pass where we will see a chorten and several views of the Annapurna range. From the peak of the pass, we have a vertical decent and after an hour we walk on a grassy lane that takes us to Ngawal. Grassland comes into view on both sides of the trail today and below a rocky mountain; we can observe the Braga village with its superb monastery. Big chortens and mani walls boom and the giant peaks Annapurna II (7937 meter), Annapurna III (7555 meter), Annapurna IV (7525 meter), Gangapurna (7455 meter), Tilicho Peak (7134 meter) appears before you. After a small steep ascend we arrive at Manang, a large village for this isolated peak region. We move further towards Thorong La today. En route, we traverse a river, mount to Tenki 120 meter lying above Manang and go up further passing Marsyangdi Valley making our way up to north-west then we will reach at the valley of Jarsang Khola. Along with the fantastic vistas of Annapurna mountain range, we walk beyond the green vegetation of juniper and alpine grass to get to the small village of Gunsang. We approach to striking meadows and deep forests of juniper, barberry etc. The trail moves along a big stream that pors from Chulu West, Gunsang and takes to a rich grazing land. Departing from Letdar, we go up steadily to an edge before moving down to the Marsyangdi and traverse via an enclosed wooden bridge. After a little climb up the peak path on the bank, we move further to a narrow track across an uneven vertical incline and then climb to Thorung high camp. After crossing Thorong La (5416 meter), our trail turns out to be vertical immediately on leaving camp. The slope then becomes less complicated and after about 4 hours of gentle ascend, we will see the prayer flags and chorten of the pass. 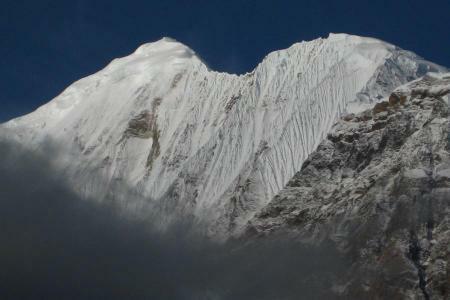 The snow-topped paeks above and the head of the valley, Kali Gandaki beneath and the hills of Mustang expand before us. 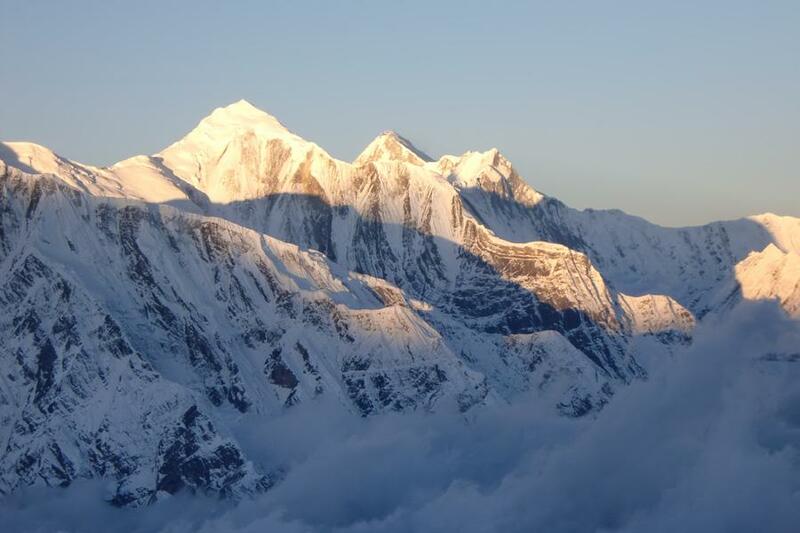 We drop to Muktinath and we will be rewarded with superb views of Dhaulagiri. Ultimately the moraines make way to green slopes before a enjoyable walk next to the Jhong Khola Valley that takes us to Muktinath. We today, move from Muktinath to Jomsom passing through Jhong (Dzong) which lies on the north part of the valley and Kagbeni. It also gives a flavor of the isolated Mustang as the communities and is division of the Sakya Buddhist custom. We fly from Jomsom to Pokhara, taking about 20 minutes. The main fascinations of Pokhara are natural as well as cultural sites such as lakes, temples of Hindus and Buddhist, caves, mountain views. You can view the north region across the hill, Phewa lake to the snow peaks of the Annapurna, Manaslu, Dhaulagiri ranges. Leaving behind the wonderful countryside morning, we travel for 6 hours we return back to Kathmandu. On arrival at Kathmandu you will be shifted to the hotel. You can then relax for rest of the day and stay overnight at hotel. This is your final day, our airport representative of Unique Adventure International will take you to the airport and you will depart from Nepal. Guided sightseeing tour in Kathmandu inclusive with entrance permit fees. Ground transportation: Kathmandu - Khudi and Pokhara - Kathmandu as per the programme. Special Perimit for Nar Phu region. Well experienced English speaking assistance guide if the group size exceeds 3+ persons.